Barring we hear that Douvan isn’t running before 10am on Monday morning, we’ll all look forward to seeing Douvan’s name alongside Altior in the list of runners for the Champion Chase on Wednesday when they are declared 48-hours in advance. At their very best this would be a race for the ages. We just don’t know if they’re at their best yet, which is a shame. Let’s hope we find out on Wednesday. Similar to Tuesday we do have a few short priced favourites on Wednesday, not least Altior himself and the majority of people looking at Cheltenham next week will be able to form their own opinion if they want to back Altior or Douvan on all the knowledge that’s there so we’ve gone digging for another big priced horse that may make the frame. Bearing in mind that if Douvan doesn’t turn up, or God forbid, something was to go amiss with Altior between now and Tuesday..
..the betting would totally change for this race, a horse that could be worth taking a chance with at a colossal price is Ordinary World. Do I think I’ll be writing in Thursday’s Herald about “Champion Chase winner Ordinary World”, I certainly don’t, however, few thought we’d be saying that about Special Tiara last year and look what happened. Even if Douvan doesn’t run to scratch, or run at all, Mullins, Ricci and (possibly) Walsh have Min to turn to, but Ordinary World is a horse that deserves to be shorter than 50/1. He has won just once over fences but as a novice was second behind Min in a Leopardstown Grade One and then was placed in the Arkle behind Altior, albeit beaten 15-lengths..
..and he returned to Punchestown to finish second in the Grade One novice chase there behind the high class Great Field. He’d have been just as close to Min again if not closer last time out at Leopardstown but for a terrible mistake which saw Davy Russell perform heroics to keep the partnership intact at all. If Henry de Bromhead can get a career best effort out of this lad next Wednesday, he’ll certainly outrun his odds of 50/1 and at around about 16/1 in a market betting without Altior, you could have worse bets next week. Having won it eight times there is no surprise that Willie Mullins has once again got a strong hand in the Bumper. Blackbow has excelled in two competitive races at Leopardstown and would look to make up the two that Patrick is trying to chose from. But, Carefully Selected will be a plum spare ride for someone and Relegate could do no more when winning herself at Leopardstown last time to follow up her win already at Punchestown and we saw a mare win the race last year too. Acey Milan, Didytheyleaveuoutto and 20/1 shot Gallahers Cross form a strong home challenge in the race but the horse I’ve backed is Felix Desjy. Gigginstown hate this race. The O’Learys are on record as saying a lot of negative things and their dislike for most bumpers but especially the Champion Bumper at Cheltenham is certainly one of them. So, to bother running Felix Desjy in this, Gordon must have done some job to convince them and they must have seen plenty of reasons themselves to take the chance. His form wouldn’t stand out as being absolutely spectacular but he did what he had to do and slightly nicer ground shouldn’t be an issue. The trainer knows what is required to win the race. 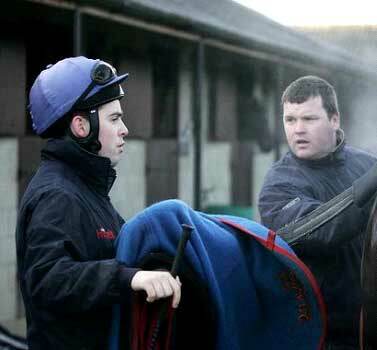 Given that Felix Desjy would probably have been capable of winning or going very close to winning two valuable bumpers in Ireland at Easter and Punchestown, there’s no way a man craving every last penny he can get in the Trainers’ Championship would send Felix Desjy here if his work wasn’t suggesting he could do something special. In a wide open Grade 1 he’s worth a punt. You couldn’t but be taken by Next Destination when he won his maiden hurdle at Naas earlier in the season and although he made harder work of things back there in a Grade One at the beginning of the year, there’s just plenty to like about the six-year-old who finished just three-lengths behind Fayonagh in the Champion Bumper here last year. However, as fond as one might be of Next Destination, he doesn’t look to be better than Samcro and therefore the Ballymore Novices’ Hurdle takes little talking about. Are you prepared to back Samcro at his current price? Off you go. But on all evidence so far he is the best horse in the race and shouldn’t be beaten. Some are quick to recall that Death Duty, representing the same connections, came to this meeting last year with a very similar profile and flopped with the tag of Irish banker. The notable difference there was that Death Duty ran in the gruelling Albert Bartlett and Samcro already has the easier task of running in the Ballymore over three furlongs shorter and it would be a surprise if he’s turned over.